Emma was called to the bar in 2004 and since 2009 has specialised exclusively in the area of personal injury law acting for both claimants and defendants. Emma receives instructions in both Fast-Track and Multi-Track actions, combining professional service with a friendly and approachable manner. Emma is noted for her sensitive approach to clients, which is particularly evident in cases involving injuries of a delicate nature such as scarring and psychological injury. 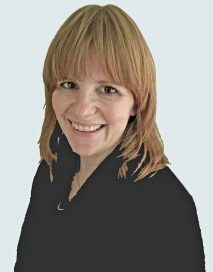 Whilst attentive with clients Emma has a reputation for producing robust pleadings and her formidable attention to details and strategic and analytical approach to cases mean her opinions are highly effective. Emma relishes a challenge and is always prepared to consider the cases with a challenging nature or unconventional characteristics. Emma has extensive experience of acting in cases involving children as well as adults and claimant and defendant firms both consider her a go to person for matters involving infants. With a reputation for retuning paperwork promptly Emma can be relied upon to assist clients with urgent instructions. Industrial accidents and disease. Road traffic cases. Employer’s Liability cases. Highway and Slipping litigation. Prior to specialising Emma dealt with cases from public law involving the removal of children. She has represented in jury trials for offences up to and including murder. She has acted for the Equal Opportunities Commission on a pro bono basis and has acted in a number of inquests. Emma is a mother of four children and coaches minis rugby at her local rugby club where she has recently been appointed captain of the women’s team.